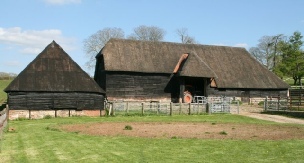 We spotted this group of barns while travelling through the back lanes of Hampshire. 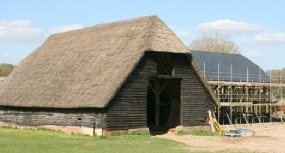 It was advertised as a site for development, so on the off chance we followed the track to the farmyard. 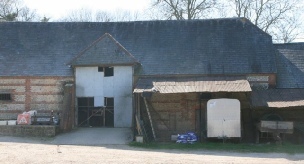 Fortunately the estate agent was there with a prospective developer and they kindly gave me permission to photograph the barns and other outbuildings. 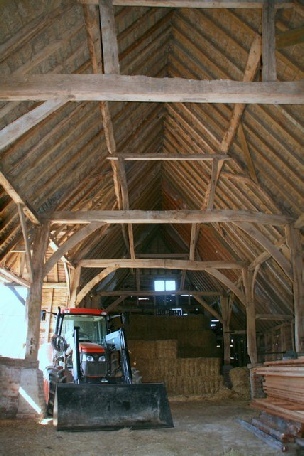 There is a large brick built barn, most recently used as stables, three timber-framed, aisled barns and a large timber-framed granary raised on staddle stones. Click on the information button to go to the estate agents’ page.